Emergence is a network of outpatient treatment centers founded in 1981 in Eugene, Oregon. The treatment center provides cutting-edge recovery services for clients who are addicted to drugs or alcohol, but also for persons with mental health and behavioral problems. Their mission is to create and administer comprehensive treatment services that would reduce the prevalence and incidence of addictions. Emergence is a private, nonprofit agency that aims to make the community healthier and free of addiction. 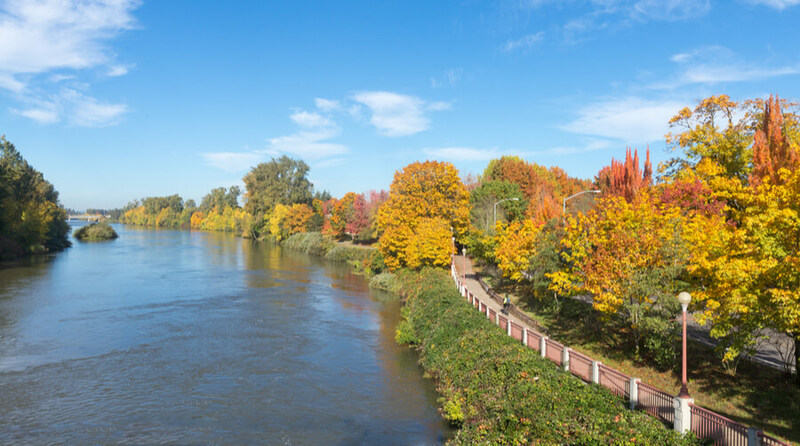 The treatment center is available to clients at different locations across Eugene, but also in Cottage Grove, Florence, and Albany, Oregon. Since Emergence is an outpatient center, so there is no housing options available. The treatment center uses evidence-based approaches for the treatment of persons with drug and alcohol addiction, gambling problem, mental health and behavioral issues, and other problems. They provide a wide spectrum of programs designed to be individualized and accommodate the unique needs of every client. Emergence is a strength-based program, i.e. it builds on the client’s strength to encourage them to make an important change in their life. The Threshold Program – demonstrates that drug and alcohol dependencies can be treated. It is a higher intensity program that involves a 12-week minimum of group sessions that clients attend three times a week. Individual sessions are also provided a bi-weekly basis just like family sessions. Upon completion of the 1st phase of treatment, the program also offers 12 months of continuing care. The Endeavor Program – for individuals referred by Lane County Parole and Probation or Sponsors, Inc. The program was founded in 2004, and it provides substance abuse treatment free of charge to persons who participate in it. The Endeavor Program encourages abstinence through monitored urinalysis. Rural Programs – substance abuse treatments administered in the Cottage Grove and Florence locations. Some treatment services at Emergence are covered by Medicaid. In addition to self-pay options, treatment program is also covered by some private insurance providers. Of course, you need to contact the treatment center (or your insurance provider) to see whether your recovery services at Emergence would get covered by the insurance. For persons without insurance and those with lower socioeconomic status, there is a state financial aid and payment assistance to make sure they get much-needed help. Military insurance covers the treatment of military personnel. It’s always practical to contact Emergence or schedule an appointment where you’ll find out all about costs and coverage of the treatment. Emergence is accredited by the state of Oregon, and it also has SAMHSA accreditation. SAMHSA stands for Substance Abuse and Mental Health Services Administration which focuses on decreasing the impact of addiction and mental illnesses on communities in the US. Maureen Jenne is a clinical director at Emergence. She has worked with youth, adults, and families within outpatient and intensive outpatient program. Maureen has experience in crisis intervention and involuntary commitment. Currently, Maureen provides clinical direction, supervision, and training to staff. Michele Tantriella-Modell is a mental health clinical director at Emergence, but she also works with patients in gambling problem programs. She provides individual mental health assessment and counseling to clients, supervision to Emergence counselors, and co-facilitates state-wide trainings to persons working toward certification as addiction counselors in the state of Oregon. Jeanne Gillard is a counselor who joined Emergence team in 2001. She was an addicted gambler in the past which allows Jeanne to understand persons with an addiction problem, their feelings, thoughts, and so much more. Gillard uses her own experience to help others. Diane Madrigale is a mental health therapist and Emergence. She has vast experience with mental health, addiction, and crisis counseling. Diane works with different types of cases including gambling, addiction, depression, PTSD, anxiety, mental, physical, and emotional abuse, and life transition difficulties. Becky Perdew is a mental health therapist at Emergence. She provides therapy in an integrated program for people presented for both mental health and substance abuse disorders. Becky believes that a strong therapeutic relationship and an individualized approach are vital for recovery success.